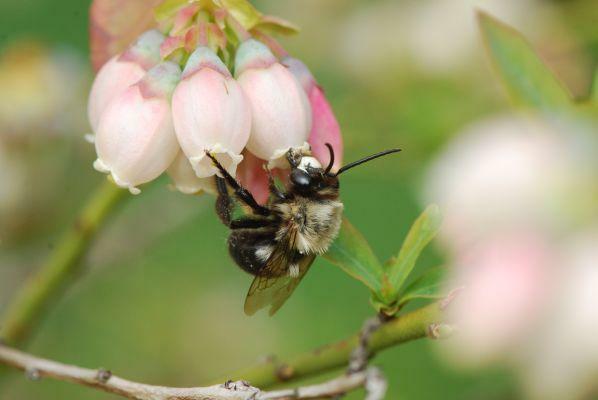 This blueberry bee, photographed at the Missouri Botanical Garden on Mar. 25, 2012, was the first recorded in Saint Louis since the 1930s. Last week, the EPA released an analysis that concluded that "these seed treatments provide negligible overall benefits to soybean production in most situations." The report also said that according to published data, "in most cases there is no difference in soybean yield when soybean seed was treated with neonicotinoids versus not receiving any insect control treatment." But Bayer and Syngenta, which manufacture the insecticides, and Monsanto, DuPont and Dow, which sell the treated seeds, say their products do benefit farmers. Along with soybeans, most of the corn, canola and sunflower seeds planted in the U.S. are covered with neonicotinoids before they're planted. As the crops grow, the insecticide spreads throughout the plants, protecting them from insect pests that feed on their roots or leaves. But neonicotinoids are also highly toxic to the honeybees used to pollinate many agricultural crops. One study showed that the dust released by a corn planter can contain enough of these chemicals to kill bees. Edward Spevak, the director of the Center for Native Pollinator Conservation at the Saint Louis Zoo, said honeybees also can take neonicotinoids back to their hives in the pollen and nectar they collect. 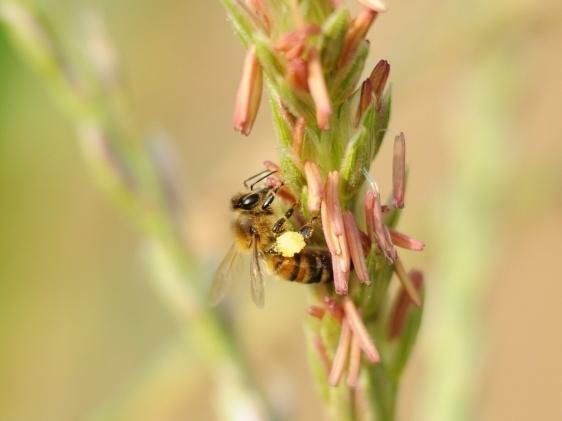 Even those very low exposures can suppress the bees' immune systems, "which then may allow for other viruses, fungal infections, protozoan parasites, to also affect the bees," Spevak said. Laboratory studies suggest that low doses of neonicotinoids can alter bees' behavior in other harmful ways, keeping colonies from producing queen bees or disorienting foraging bees so that they can no longer find their way back to the hive. Last year, the European Union temporarily banned three neonicotinoids, out of concern for their risks to bees. 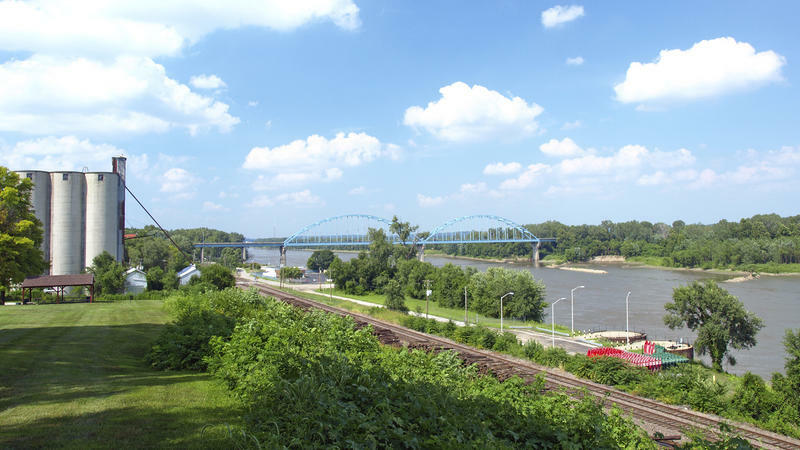 And a recent study by the U.S. Geological Survey found the agricultural chemicals are also leaching into Midwestern rivers and streams, where they may pose a threat to aquatic life. Still, Bayer, which sells the most neonicotinoids, insists that most research shows they are safe. And in a written statement provided to St. Louis Public Radio, Monsanto said it plans to continue "to provide growers the choice of using these insect-protection products next year." A class of insecticides called neonicotinoids, which are used on a lot of big corn and soybean fields, has been getting a pretty bad rap lately. Three popular pesticides will soon be illegal in the European Union, where officials hope the change helps restore populations of honey bees, vital to crop production, to healthy levels. The new ban will be enacted in December. "I pledge to do my utmost to ensure that our bees, which are so vital to our ecosystem and contribute over €22 billion ($28.8 billion) annually to European agriculture, are protected," said EU Health and Consumer Commissioner Tonio Borg. 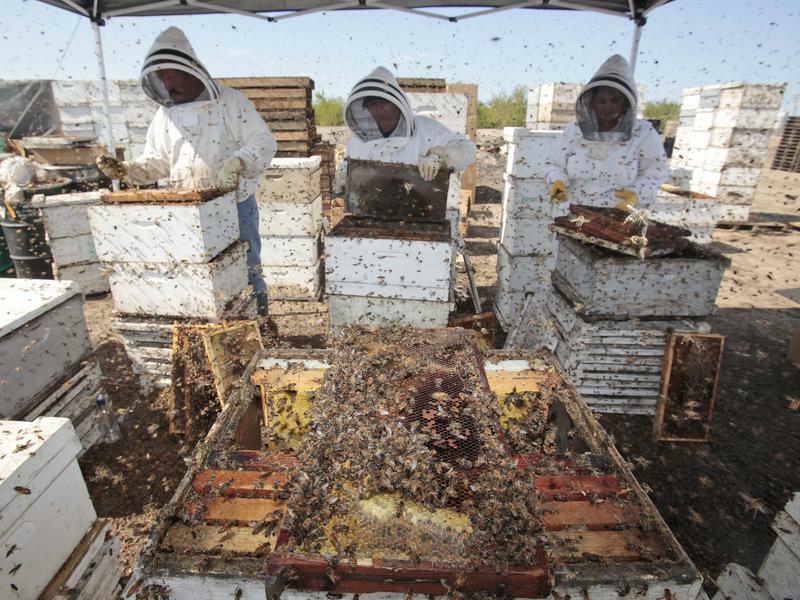 The search for the killer of America's bees is a little bit like an Agatha Christie novel. The Missouri Department of Agriculture is launching a new initiative to try to create some buzz about bees. Agriculture Director Jon Hagler says “The Great Missouri Buzz Off” aims to educate Missourians about bees and beekeeping. “Whether it be honeybees, or native bees, they’re so vital to our agriculture’s success, and to our horticulture’s success, and we have such amazing resources here in our state,” Hagler said.